My parents have landed in Loreto! I have been looking forward to their arrival since I knew the daily adventure activities would sky rocket. The day after they arrived we went for a paddle from Rattlesnake Beach (just south of Puerto Escondido) to Juncalito Beach. 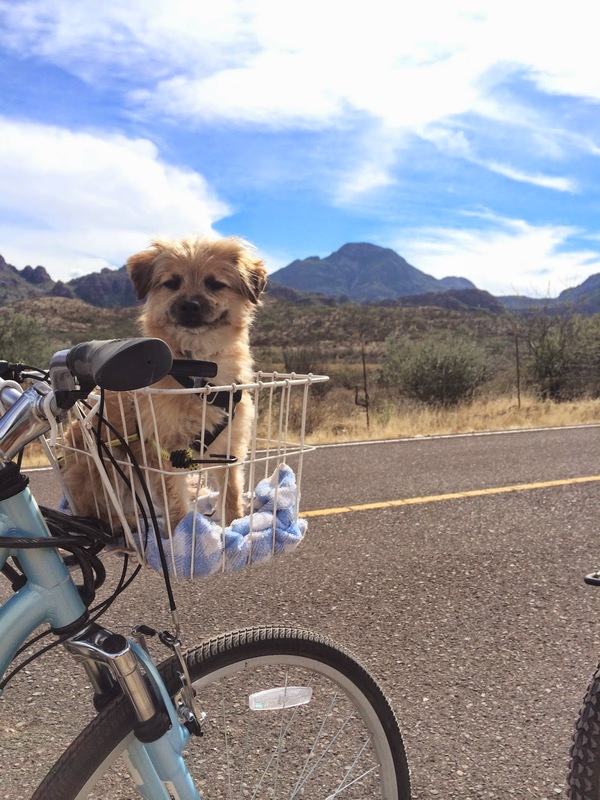 Of course, Bailey joined in as she loves adventures. So with her lifejacket on she hopped in the cockpit and enjoyed the breeze. We lucked out with great weather and calm seas. It was beautiful to paddle along the coast looking up at the mountains. They are so dramatic with sharp edges as they tower over the Sea or Cortez. 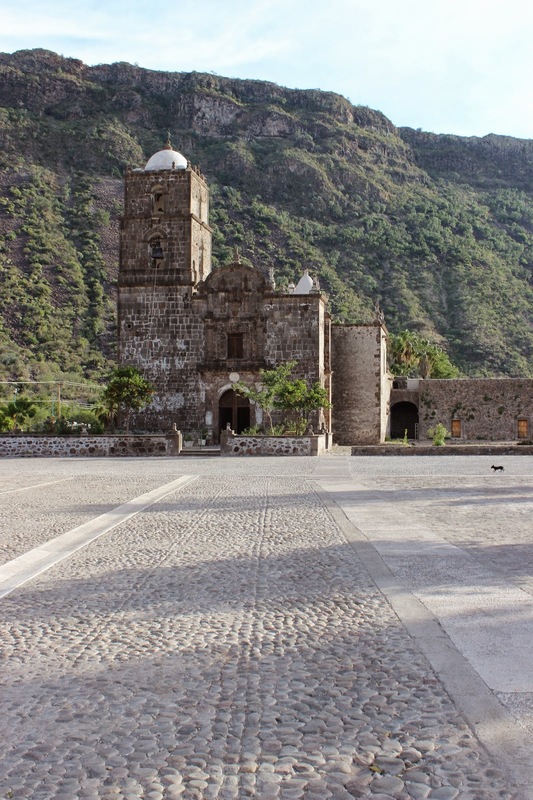 San Javier mission is up in the mountains about an hour from Loreto (I have heard that from one mission to the next it is a days mule ride). With my family when there is a chance to do something more then just drive, we will take it. So we drove half way and then biked the remaining way. The first half of the road to San Javier is very steep and hilly where the second half is rolling. Of course, Bailey joined for the adventure. Strapped in and ready to ride we biked through ranch country. Since I had just watched the documentary Corazon Vaquero about ranch culture in Baja I was excited to see the country side. 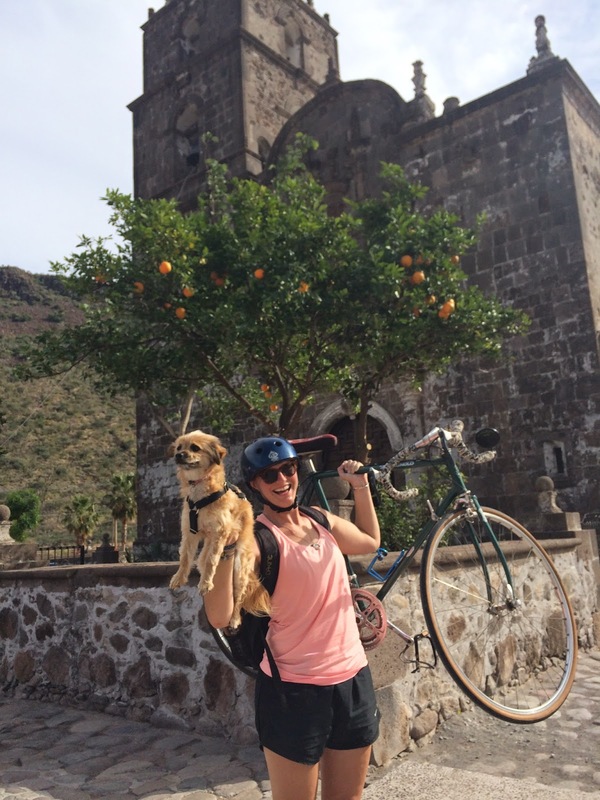 Biking into San Javier on the cobblestone road was scenic with the mission at the end of town. Sweaty from the ride we had a beer before exploring the mission and finding the giant olive tree out back.